FOOTBALL: Chelsea manager Antonio Conte says his players deserve to win the English Premier League after moving to a victory away from the title with a 3-0 home success over Middlesbrough. 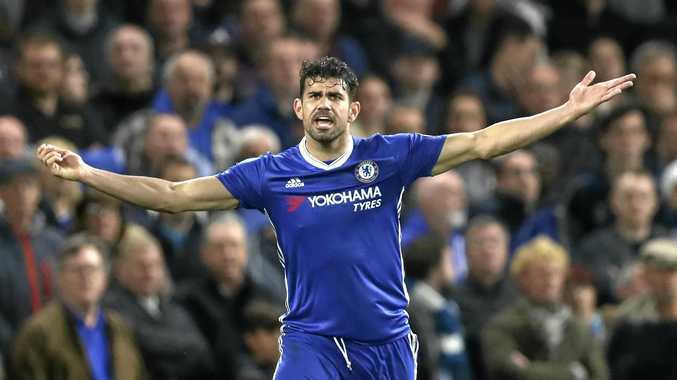 Goals from Diego Costa, Marcos Alonso and Nemanja Matic helped the Blues ease home at Stamford Bridge, with the defeat also relegating Boro with two games remaining. Chelsea now has a seven-point advantage over Spurs and a win over West Brom on Saturday morning (EST) will seal the title with second-place Tottenham playing Manchester United on Sunday. "This is my first season in England in a tough championship," Conte said after the defeat of Middlesborough. "I'm delighted for my players, they deserve this. We are showing that we deserve to win the league. "Now, we have taken another step to the title. We have to rest well and prepare for West Brom. "We must try in the next game to become champions. West Brom will want to play a good game against us, but we are ready."